Cycling also called biking or bicycling is a sport that has been a part of the Olympic games. Cycling exercise is one of the best full body workouts that will not only keep you fit on the inside but also, it will keep you fit on the outside. Now, with the current busy work schedules that have intruded our lives, going for a quick run or even a walk is not possible as it used to be. So we are not able to derive the benefits of cycling in today’s life, which include good muscle and bone health! Cycling can be enjoyed by all age groups and it is environment-friendly too. A half an hour ride every day is a healthy way to keep your body fit and will protect against diseases like arthritis, diabetes, heart disease, obesity and various other health problems. Cycling is a type of aerobic activity which provides oxygen to the heart, blood vessels, and lungs. Riding a cycle will let you breathe deeper, perspire, increase your body temperature and ultimately, your overall health. Is running or cycling better for you? Both are an excellent form of exercises that are good for maintaining a holistic health. It is said that running burns more fat than cycling but, cycling itself is challenging, fun and suitable for all age groups. · Cycling is a low-impact exercise that causes less strain and muscle pain. · Cycling is a good body workout which involves all the major muscle groups. · Cycling is easy as compared to other sports. · Cycling builds up your strength and stamina. 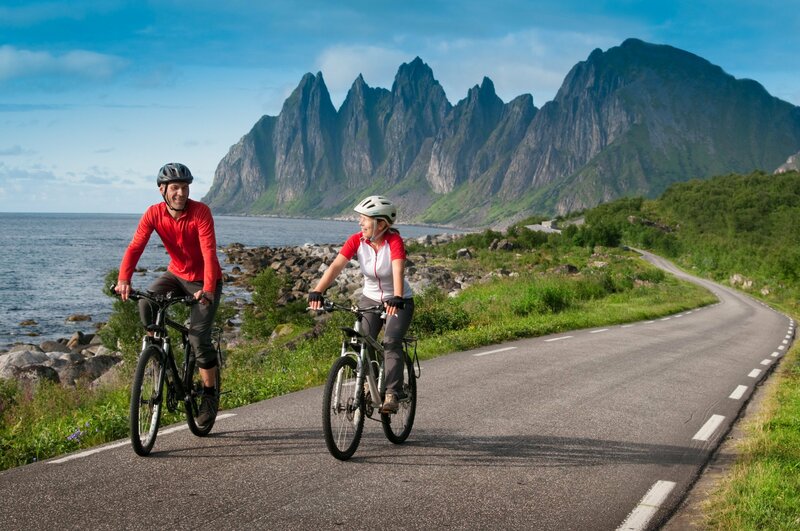 · Cycling is fun and adventurous. 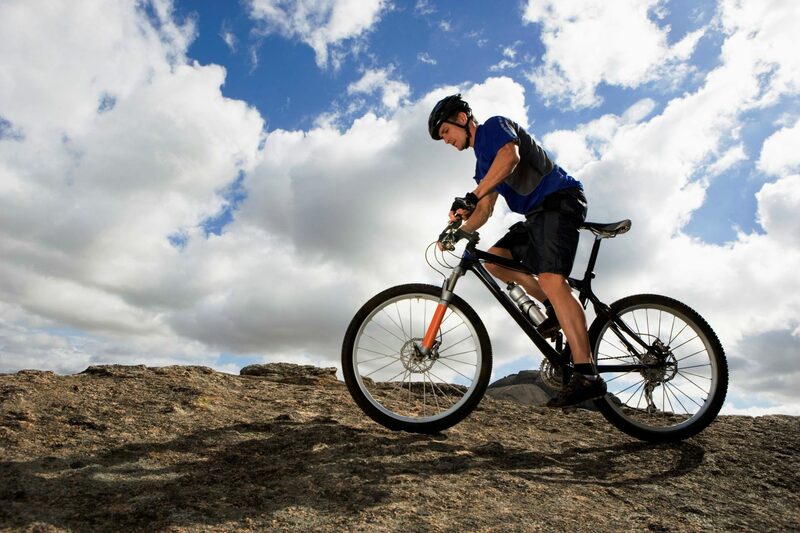 Ride uphill or on an incline for an increased challenge. · Cycling is the cheapest mode of transport. Cycling is a good muscle workout for the body and with enormous health benefits, it reduces the risk of many health problems. Regular cycling involves a lot of pedaling which strengthens the leg muscles and also the hip and knee joints. Cycling exercise also strengthens the arm muscles and in general improves the muscle function of the body. Not only does cycling benefit the lower body but also, it is an overall physical workout. During cycling, the heart beats faster than the normal rate which in turn promotes good health. Cycling exercise improves heart conditioning by making it pump blood faster. People who constantly exercise the heart muscle on a daily basis are less likely to develop high blood pressure. Cycling helps to increase the body’s stamina and boosts the endurance capacity of a person. Cycling benefits the body by increasing your energy levels and getting you charged up for the day. The benefits of cycling does not only limit to physical strength, it also helps in combating stress, depression, and anxiety. Riding a cycle will help keep the mental health conditions in check. Can you lose weight by cycling? Yes, it is a good way to lose the unwanted fat in the body. Cycling exercises the muscles of the thighs and buttocks and it also increases your metabolic rate. Cycling helps in lowering the risk of diabetes. Diabetes increases the risk of various diseases such as heart disease, stroke etc. So, cycling is the best way to keep the sugar levels i.e glucose under control. Being physically active and following a good diet are 2 sure ways to keep diabetes away. You can refer to this Indian diet chart for diabetes patients provided by a True weight Nutritionist for further information. As we all know it, cancer is a dreaded disease. But, we can prevent it or reduce the risk by doing the right exercise i.e cycling. People following a sedentary lifestyle with moderate to high physical activities which include cycling and running are known to have a lesser risk of cancer. Riding a cycle is an ideal form of exercise if you have osteoarthritis. Cycling is one of the best exercises to prevent or reduce arthritis because the joints in the legs are given little stress. It also improves the strength and balance of the body. The benefits of cycling range from boosting health, helping in losing weight, recovery from injury, and reduces stress. But, before you go on the cycle ride don’t forget to wear a helmet that can help prevent a head injury if you meet with an accident.